In 1891 Benjamin Harrison, the first president engaged in conservation, had to have this new area of public policy explained to him by members of the Boone and Crockett Club. This didnt take long, as he was only asked to sign a few papers setting aside federal timberland. But from such small moments great social movements grow, and the course of natural resource protection policy through 22 presidents has altered Americans relationship to the natural world in then almost unimaginable ways. Presidents and the American Environment charts this course. Exploring the ways in which every president from Harrison to Obama has engaged the expanding agenda of the Nature protection impulse, the book offers a clear, close-up view of the shifting and nation shaping mosaic of both green and brown policy directions over more than a century. While the history of conservation generally focuses on the work of intellectuals such as Muir, Leopold, and Carson, such efforts could only succeed or fail on a large scale with the involvement of the government, and it is this side of the story that Presidents and the American Environment tells. On the one hand, we find a ready environmental engagement, as in Theodore Roosevelts establishment of Pelican Island bird refuge upon being informed that the Constitution did not explicitly forbid it. On the other hand, we have leaders like Calvin Coolidge, playing hide-and-seek games in the Oval Office while ignoring reports of coastal industrial pollution. The book moves from early cautious sponsors of the idea of preserving public lands to crusaders like Theodore Roosevelt, from the environmental implications of the New Deal to the politics of pollution in the boom times of the forties and fifties, from the emergence of environmentalism to recent presidential detractors of the cause. From Harrisons act, which established the American system of National Forests, to Barack Obamas efforts on curbing climate change, presidents have mattered as they resisted or used the ever-changing tools and objectives of environmentalism. In fact, with a near even split between browns and greens over those 22 administrations, the role of president has often been decisive. 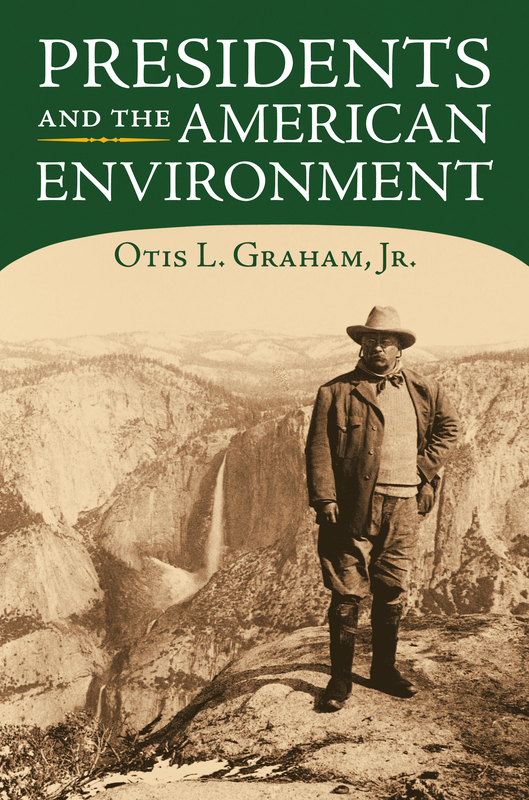 How, and how much, distinguished historian Otis L. Graham, Jr., describes in in full for the first time, in this important contribution to American environmental history. Otis L. Graham, Jr., is professor of history emeritus at the University of California, Santa Barbara.